The University of Alabama’s College of Arts and Sciences will celebrate the 500th anniversary of Thomas More’s book “Utopia,” which told the tale of an ideal island of the same name, with a yearlong series of events that will include themed lectures and courses. Dr. Michael Mendle, professor emeritus of history at UA, will kick off the “Year of Utopia” series with an introduction to the book and the “Year of Utopia” Wednesday, Sept. 16 at 4 p.m. in room 205 of Gorgas Library on the UA campus. More’s “Utopia,” literally meaning “nowhere” in Greek, was first published in 1516 in Latin. More’s tale of an imagined, ideal society added the word “utopia” to the English language and has elicited innumerable spinoffs in life and on the page, including a great number of anti-utopias or dystopias. In addition to the lecture, the College of Arts and Sciences will continue the “Year of Utopia” theme in various courses that involve utopian and dystopian topics including in the areas of English, history, political science, philosophy, biological sciences and religious studies. Other upcoming events will be announced on the “Year of Utopia” website, www.yearofutopia.as.ua.edu. The website also includes a blog for responses and suggestions. Mendle taught early modern English history at UA from 1980 to 2014. He has written on political thought and pamphlet culture, among other topics.  UA’s department of history is part of the College of Arts and Sciences, the University’s largest division and the largest liberal arts college in the state. Students from the College have won numerous national awards including Rhodes Scholarships and Goldwater Scholarships.